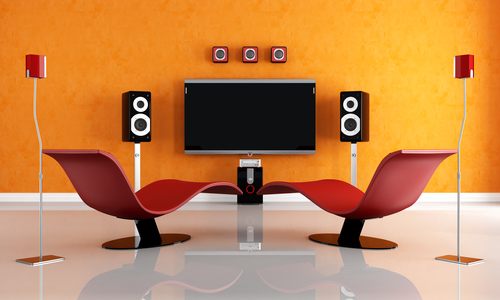 Speakers are an essential addition to any home theater systems. More than that, having a good surround sound system is a worthy investment; some people even equate speaker purchases to car purchases, meaning they are willing to spend top dollar for the best. With speakers, a lot of the times, we are content with just walking into an electronics store, hearing a demonstration, and walking out with a new set of audio equipment. When in actuality, it’s ideal to spend an ample amount of time researching, sampling different kinds, and ultimately purchasing the right speakers that suit your needs. Interesting trivia: a good set of speakers, with proper care and maintenance, can last longer than a car. Speakers today are jam-packed with lots of fantastic features and advanced technologies, providing better value than ever. That fact is a bit of a double-edged sword. While it’s good that you have a lot of great audio options, the selecting and buying process could get too baffling. The key to audio bliss is to arm yourself with knowledge, do the research, and test-drive some samples. With the following tips, your speaker purchase is going to be an easy and rewarding experience. Receivers come in two types: stereo and surround speaker. Stereos have built-in HD radio tuners, along with the usual AM/FM frequencies. There is also a smartphone connectivity option through Bluetooth or USB. However, subwoofer outputs are still somewhat incompatible with stereo receivers, but that is quickly changing with today’s technology. It’s the same for digital audio inputs; before they have been rare, but the transition to digital music makes receiver manufacturers almost always embrace digital inputs. On the other hand, surround sound or A/V receivers are made to function as the heart of a home theater system. The stereo receiver concept is built upon the idea of including surround sound features, digital audio and video processing and switching, auto speaker setups, and network A/V support. Fancy features are nice, but the speakers should, first and foremost, sound good. There is a multitude of makes and models available on the market today. Weeding out the bad right away is essential. Or else it’s going to be extremely confusing going through all kinds of bells and whistles speakers nowadays are packed to the brim with. Unfortunately, manufacturer specifications are not always suggestive of the quality you will be getting. Many speaker makers put more weight into making their products look attractive yet not as functional. Our advice: read between the manufacturer specs lines. You will get more familiar with whether or not the A/V you are eyeing on is worth looking more into or be weeded out from your list of options. Big numbers are what attract buyers since it’s common to believe that the higher the watts is, the more power it has. Manufacturers know that consumer trend and they tend to make the most out of it. How? They’ve determined how to show numbers that appear reasonable to buyers by making the tests not as rigorous. If the exam is too easy, everyone can ace it. The good news is the Federal Trade Commission (FTC) orders manufacturers to disclose all testing procedures and conditions. With a bit of knowledge and a little scrutiny of these testing conditions disclosures, it’s possible to figure out what an excellent power rating is. Root Mean Squared (RMS) – power should be shown as RMS rather than peak power. RMS refers to the consistent power that can be utilized for long durations, which is a more reliable factor when it comes to determining power capabilities. “All Channels Driven” – look for this statement when examining the power capabilities of the equipment; this means the amplification matches all the receiver’s channels. You don’t want the amp’s power to be split up among numerous speakers as it can affect the sound quality. Bandwidth – An indication that the receiver was graded while pushing a full range audio signal is to look for 20Hz-20kHz. A lot of the times, receiver makers manipulate power ratings by pushing a single frequency only for a short period. Impedance – Electrical impedance refers to the measure of the resistance of a circuit to a current when the voltage is utilized. Most home surround sound systems will have 6 to 8 ohms. Thus, manufacturers should show power ratings achieved while driving an 8-ohm load. However, since power ratings can double when attained using a lower impedance, some manufacturers will exploit this excuse to make the scores look more acceptable. Bottom line, you should always see an 8-ohm rating when reading through the specs. The critical thing to remember is if you see visible signs of power rating manipulation when selecting a surround sound system, we suggest to move on to your other options and not waste your time. It’s highly likely that if the power rating is falsified, then the other claims are not as honest as well.